Soldiers’ challenges in finding good child care may be one of the biggest issues that Army Secretary Mark Esper hears about when he visits installations, so he’s tackling that issue with dollars and policies, he said. Too often, the Army has tried to spread the money across multiple programs for families, and “we’ve left important parts of Army family unsatisfied,” he said. He’s listened to Sergeant Major of the Army Dan Dailey and other leaders, Army families and family readiness groups, and wants to reallocate dollars “to the things they want,” he said. Child care on military installations has long been recognized as top-notch by military parents, but there’s just not enough of it in some places, across the service branches. 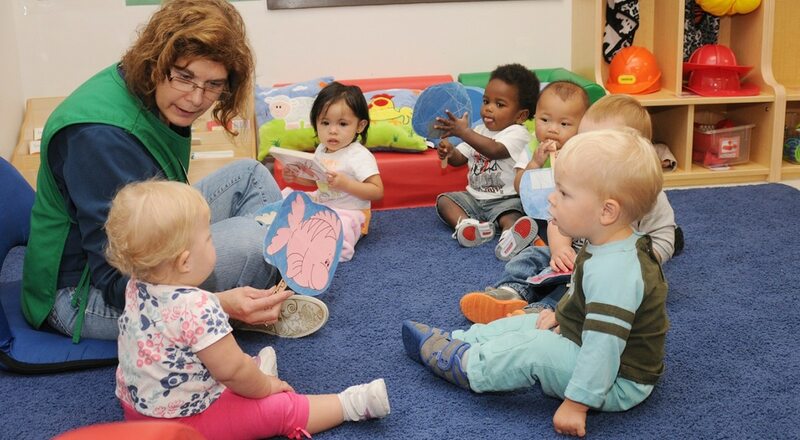 Esper has made some policy changes with regard to child care and is trying to increase capacity at child development centers by easing hiring practices to get workers in more quickly. He’s working to streamline the hiring process and decrease the timeline for hiring child care workers, he said. “In many cases the reason why our child development centers are not at full capacity is that we have an insufficient number of providers," he said. Last year it was taking an average of 134 days to hire a civilian, and his goal is to get it below 60 days. Hiring civilians faster will help fill vacancies in areas like child care where shortages have a substantial impact. Last summer, the Army launched a program to help transitioning military spouses who work in child and youth programs, eliminating unnecessary background checks at the new duty station and streamlining the notification and hiring processes. This could help alleviate some shortages of caregivers, too. Esper said officials are revising policies to make sure soldiers are getting the priority they should in child care programs. Starting March 1, Army civilians will no longer be able to enroll in the Army Fee Assistance program, with some exceptions. Any civilian employee who is enrolled in the program as of Feb. 28 is grandfathered into the program. All the branches of services offer fee assistance programs for child care in the civilian community when on-base child care is not available or not a viable option. The programs provide subsidies that help make up the difference in cost between on-base child care and civilian child care. For example, the Army program subsidy is the difference between what the soldier would pay for on-post child care and the community-based provider’s rate, up to a cap of $1,500 per child per month. All the programs are offered through contracts with the nonprofit Child Care Aware, and that organization also helps service members locate child care that is good quality and suitable for their needs. But the Army and the Navy are the only service branches that currently provide subsidies to their civilian employees. In all the services’ fee assistance programs, those eligible are active duty and Guard and Reserve on active duty. There are some additional eligible populations that vary by service, such as survivors of combat fallen warriors and active-duty wounded warriors eligible for the Navy and Air Force programs. The exceptions to the new policy who remain eligible to apply for the fee assistance are civilians working on Army Child, Youth and School Services staffs; Army Guard and Reserve military technicians; and deployed Expeditionary Civilian Workforce members in the lowest six categories of family income.